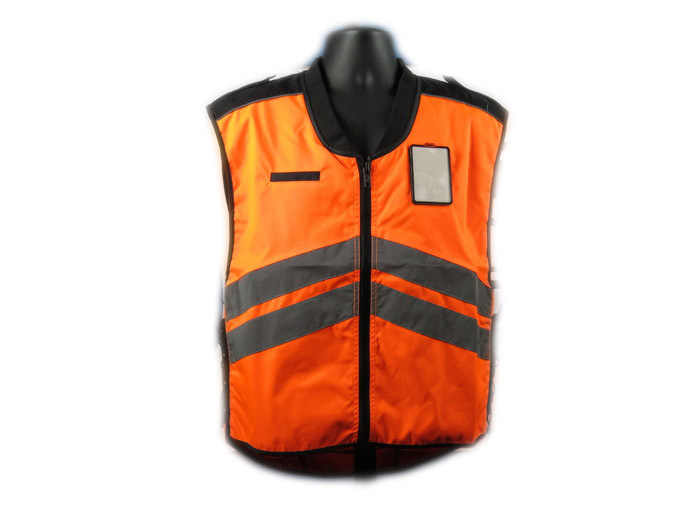 Veste de sécurité sans manche. 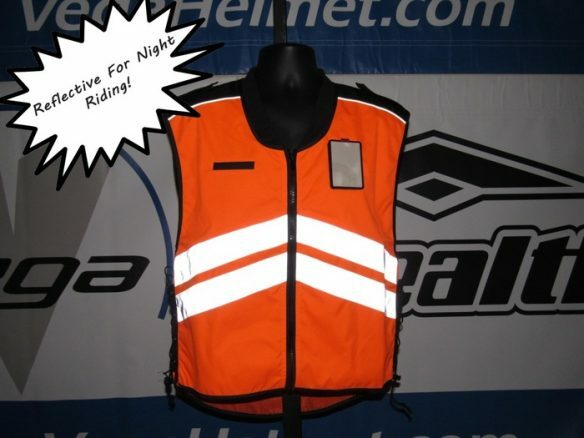 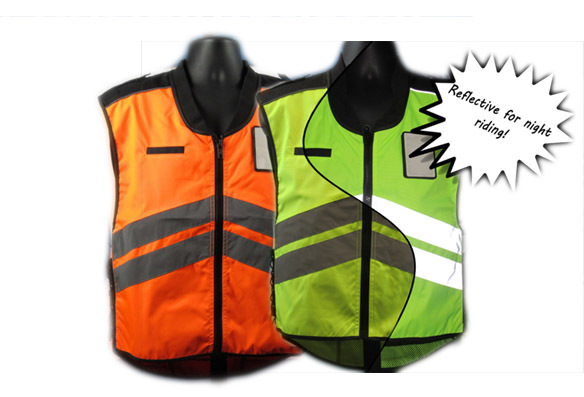 Every Vega Adjustable Safety Vest comes complete with a sturdy ID Badge HolderVega safety vest are available in two materials canvas or mesh, and two colors Orange or Hi-Vis Yellow. 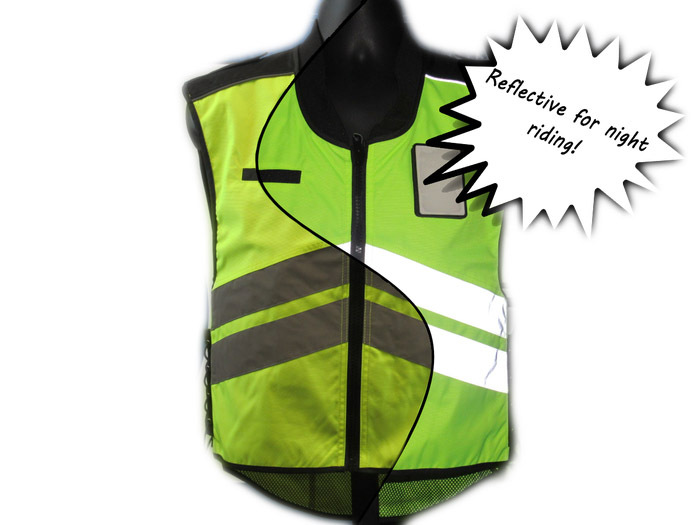 With wide reflective strips on the front and rear, a front breast pocket, ID badge holder, interior zip pocket and an elastic side drawstrings, this feature packed vest will fit most.